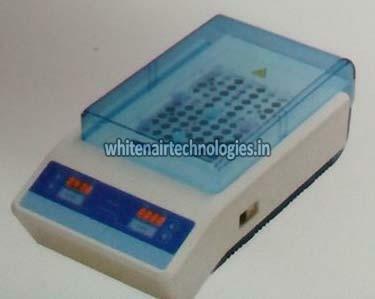 We are enlisted amidst the well-known Manufacturers and Suppliers of Two Zone Dry Bath Incubator. It features micro controller based program, timer up to 99 minutes and interchangeable blocks. The temperature of our incubator is up to 105ºC. The manufacturing of our Two Zone Dry Bath Incubator is done under the supervision of experts ensuring its compliance with the industrial standards.